Another awesome initiative by the government of Pakistan is the launch of Online E-Passport System in the country. The E-passport online system in Pakistan will facilitate the overseas Pakistanis. The Interior Minister of Pakistan Chaudhry Nisar Ali Khan said in a press conference that this service will facilitate the overseas Pakistanis to renew their Passports via online system. He said that the next phase of the E-Passport System will be launched in Pakistan in June 2017. The validity of renewed passport via online system Pakistan comprise 10 years period. 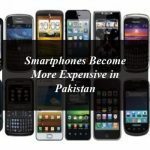 Chaudhry Nisar Ali Khan, interior minister, said that the service will be launched in Pakistan in the next two months. He also said that this E-passport Online system service will be made available across Pakistan within 2 years. He said that via online systems government of Pakistan is trying to facilitate the people via online National Identity Card and Passport in the easy way. He said to accomplish the E-Passport System DG Passport, NADRA Chairman, technical and non-technical staff had worked diligently. 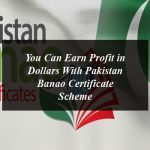 You Can Earn Profit in Dollars With Pakistan Banao Certificate Scheme: Here’s How to Apply? Here’s How Overseas Pakistani Can Travel Back Without Visa? 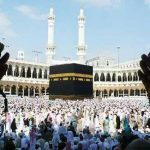 How to Avoid Hajj Scam By Using SMS Service?